I'm still on my Distress-Ink-as-watercolors kick, so here are two ATCs in watercolor fashion. I am entering both of these ATCs to the Moxie Fab Wonder of Watercolor Challenge. This Peace ATC uses My Cute Stamps set "Go Green" with Distress Inks "Tumbled Glass", "Picked Raspberry", "Mustard Seed", "Dusty Concord". 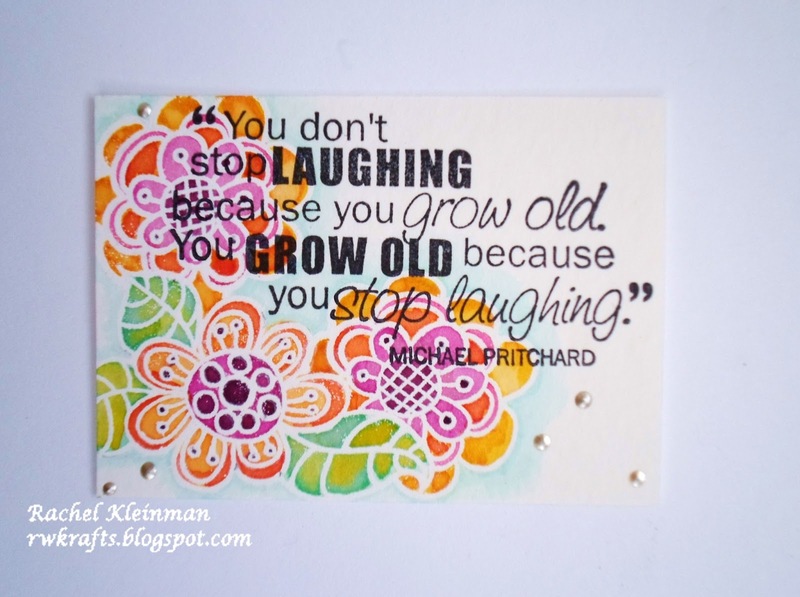 The Laughter ATC uses flower stamps from Recollections and a sentiment stamp from Fiskars. The Distress Inks turned watercolors are "Tumbled Glass", "Mustard Seed", "Dusty Concord", "Picked Raspberry", "Pine Needles", "Worn Lipstick". Silver Liquid Pearls were added for accents. 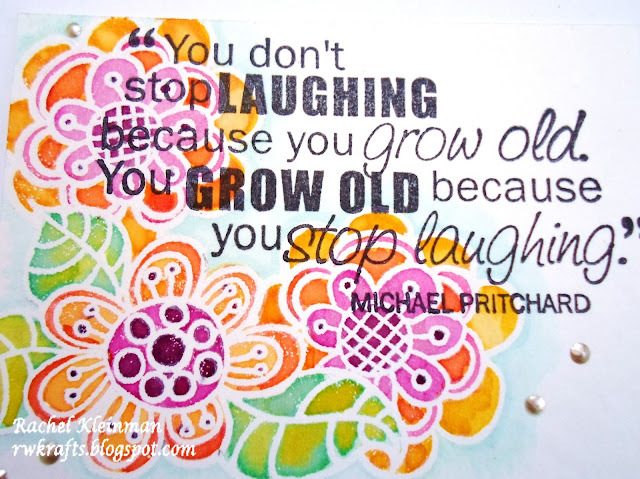 And I'm entering this ATC into the Simon Says Stamp and Show challenge of COLOR! Ooooh, these are pretty! Good luck in the challenge. Very 60s - Love that Peace card! 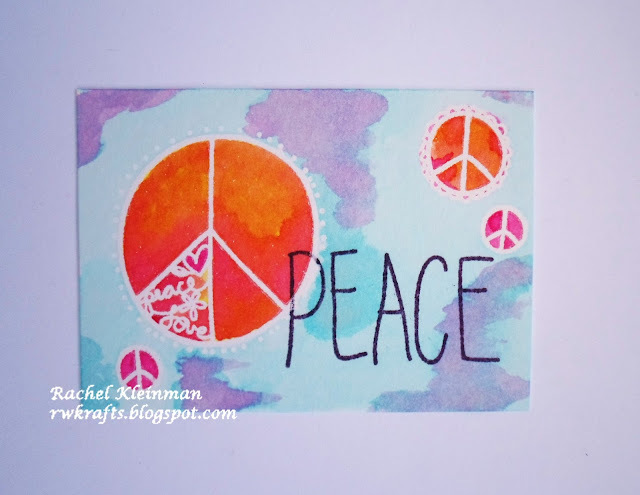 I've never tried making ATC's before...I LOVE the peace signs, especially the larger with the heart and words. Your watercoloring is perfect by the way...love the blend of color. FABULOUS cards Rachel! Your coloring is WONDERFUL!!! just love that water-colour look to bits. Happy Earth Day to you too !